Video evidence is considered the most accurate representation of the events as they naturally occurred. In fact, surveillance videos today are considered more accurate than eye witness testimony alone. Once surveillance video has been properly authenticated and the source of the chain of custody is presented, surveillance videos CAN be used in a court of law. In the following blog post “5 Tips for Preparing Digital Video Evidence for Court” Video Forensic expert will teach its readers about the 5 major lessons our experts have learned and want to share with you about preparing your surveillance videos for use in court regardless of where you are located. Chain of custody is perhaps the most important tip from this post. Document and maintain a chain of custody on your video evidence. A lack of an authentic chain of custody can cause the court to question the integrity of the surveillance videos and its admissibility. Lack of a proper chain of custody reduces the credibility of your video evidence. For example, I currently have a case in house that includes a smart phone recording being used as video evidence. We preserved the video recordings on the smart phone. Why you might ask? It is crucial to our investigation. There is plenty of storage space available on the phone. Of course, I established and documented the chain of custody when I downloaded the phone in my lab. I sometimes wonder as a scientist, how anyone can determine how a recording was created without an established chain of custody? If it’s important, why were the video recordings not protected when it was created? 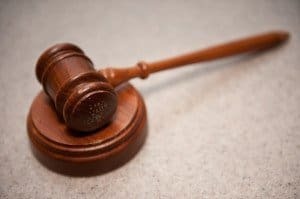 If the video events depict a crime being committed and will be admissible in court, it is also important to maintain the chain of custody for authentication purposes. Verification and establishment of the chain of custody visually and digitally is necessary for forensic authentication analysis investigations down the line. Tip Two: When possible, use the original video recording not a copy. As a rule of thumb, always present the original digital video recording, not a copy. Copies of digital video recordings can be misrepresented if an authentic chain of custody isn’t maintained. Digital compression from copying and converting recordings can often times affect the authenticity of the events as they occurred. In addition, the digital information that is used to determine the circumstances in which the recording or recordings were created are effected if the recordings aren’t copied accurately. Sometimes, the surveillance videos may need to be clarified or enhanced. In this case, the original video recording cannot be presented, because the original recording has undergone changes. Once the video enhancement process has been completed accurately, the derivative video work product can be properly authenticated as an original representation of the events. This is done by presentation of the documentation that describes the enhancement process completed by a trained professional, like a video forensic expert. If you are not sure you have the original or if you believe the copy you have has been altered, seek the help and guidance of a qualified and trained professional like a video forensic expert. An expert can authenticate the digital video recording scientifically and present a report of the digital integrity of the digital video file or files. Our experts provide pro-bono consultation to all clients who are seeking the truth in regards to their video evidence. Tip Number Three: Prepare your playback software for courtroom use. As a rule of thumb, always prepare playing your video recordings before you enter the court room. Make sure your video evidence is compatible for easy playback in court. Many of our clients at Primeau Forensics will give us a digital video recording to authenticate that was created on a closed circuit television surveillance system. Attorneys will often times enter a court room with a video requiring a proprietary player that will not open quickly. This keeps the trier of fact (judge and jury) waiting for long periods of time, which can cause confusion and frustration. When I enhance a video recording for courtroom use, I always export the video recording from my forensic software using a file extension that is easier to open than some of the clunky proprietary players that CCTV systems rely on for recording playback. Before expert witness testimony, i always prep with my clients on the phone and in person. Part of this prep time is used to double and triple check our exhibits, some of which are demonstrative. Number four: Prepare your playback equipment for sight as well as sound. Will the jury be able to hear the audio clearly? Do you need a PA speaker or amplifier system to make the audio louder for everyone in court to hear? It is common when I testify that I bring in a suitcase of 1 to 2 options of playback equipment to ensure all video is presented properly and easily heard by all persons in the court room. Before litigation, i am often required to install proprietary courtroom viewing applications on my computer. The app completely messed up my computer. Because this was during prep time, I was able to undo the app and make other arrangements to play the video recordings. These kinds of errors are CATASTROPHIC for testimony as well as your integrity and professionalism as an expert. Playback errors are better handled outside of the courtroom. Number five: Bring enough copies for everyone. 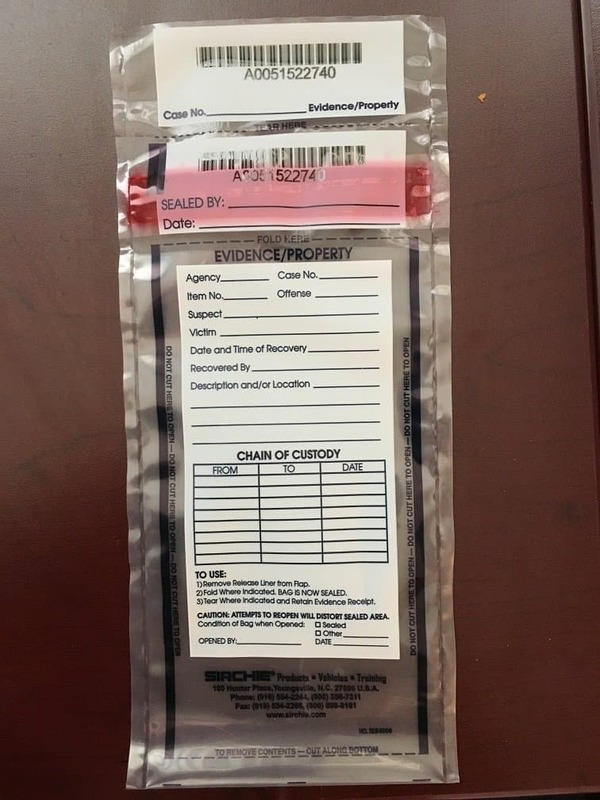 Evidence and exhibit stickers and information can be placed on the bag itself. These are the top five tips when presenting digital evidence for court. If you have any questions about video recordings that will be used in your litigation as evidence, feel free to Contact Us! This entry was posted on Tuesday, June 10th, 2014 at 8:11 pm	and is filed under Expert Witness Testimony, Legal Proceedings. You can follow any responses to this entry through the RSS 2.0 feed. You can skip to the end and leave a response. Pinging is currently not allowed.